IntraWeb 14 is FREE to 10.3 Rio users, however please see here. 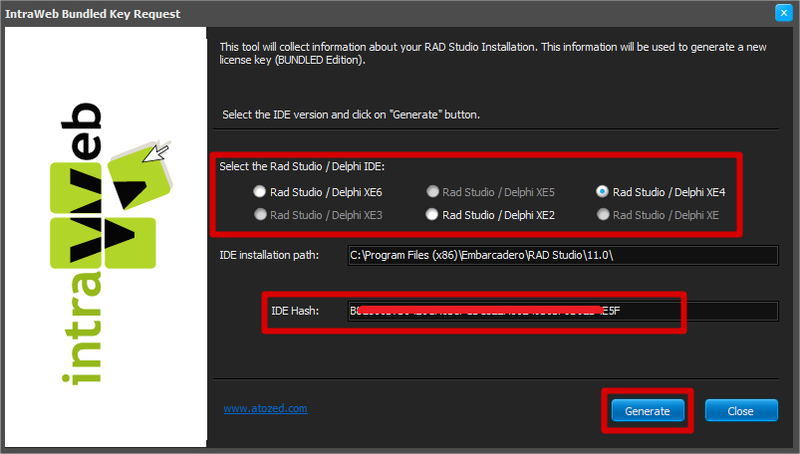 IntraWeb is included with your RAD Studio / Delphi / C++ Builder installation from Delphi 7 through RAD Studio 10.3 Rio. You may see it as “VCL for the Web” or simply “IntraWeb”. Although you can use the bundled version, we strongly recommend you to update it, as we are constantly releasing updates for fixing bugs or introducing new features. IntraWeb 14 – Delphi/RAD Studio XE3, XE4, XE5, XE6, XE7, XE8, 10 Seattle, 10.1 Berlin, 10.2 Tokyo, and 10.3 Rio. 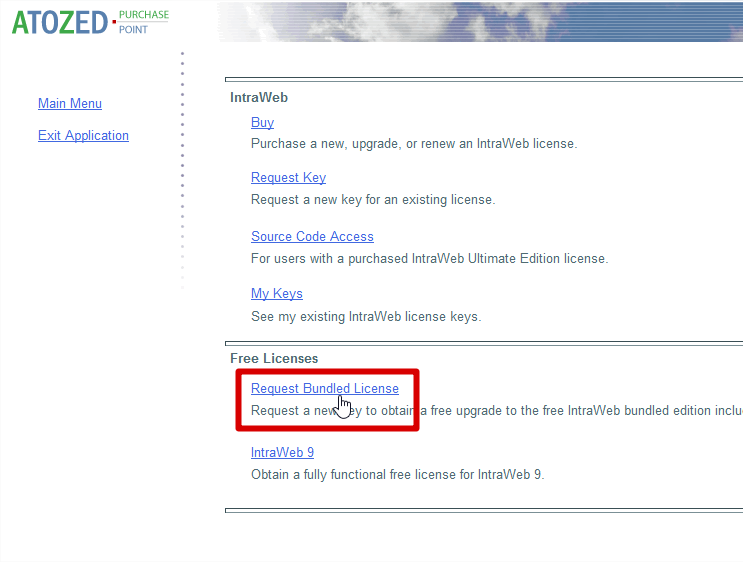 IntraWeb 15 – Available only with purchase of a new license. After you receive your free key, please proceed to the Download page to download the latest release. 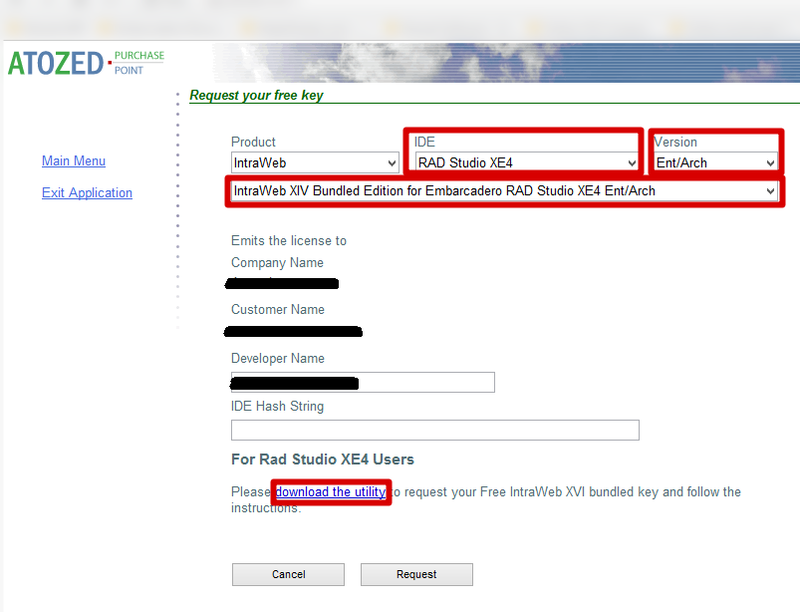 Since the release of RAD Studio XE, IntraWeb bundled keys are now related to your RAD Studio Serial Number, which means that when you request a IntraWeb key, the e-mail you used to request it is also related to your RAD Studio Serial Number. If someone else tries to request another IntraWeb key using the same RAD Studio Serial Number, as this person is using another e-mail account, this request will be rejected by our system as the RAD Studio Serial Number is already related to your account. 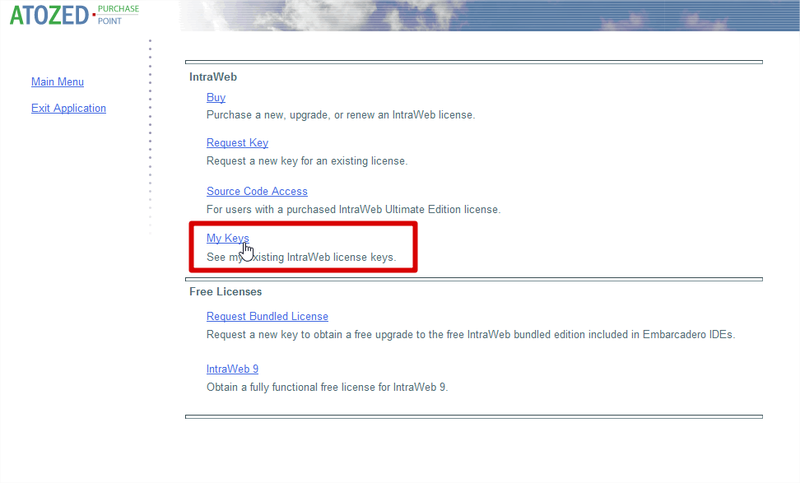 If you are using the All-Access license model, we need to notify you that our key request method still does not work with this licensing model, therefore you won´t be able to upgrade your IntraWeb bundled license or purchase our Special Upgrade Offer. We are working with Embarcadero to find a solution to this issue. Please note that the retail licenses are not related to the RAD Studio Serial Number and they will work with no problems even if you are using the Embarcadero All-Access licensing model. 3) In the new window, select your IDE and the IDE version. Fill the “Developer Name” field (this name is part of the license information). 4) Run the KeyRequest utility, choose your IDE and then click on “Generate” button. The utility will generate a hash string for your IDE and copy it to clipboard. Keys are sent immediately after your request, via automated e-mail.